Sometimes, all the intelligence in the world is no match for dumb luck. Maybe he should change his call sign from “Highball” to “Lucky”. 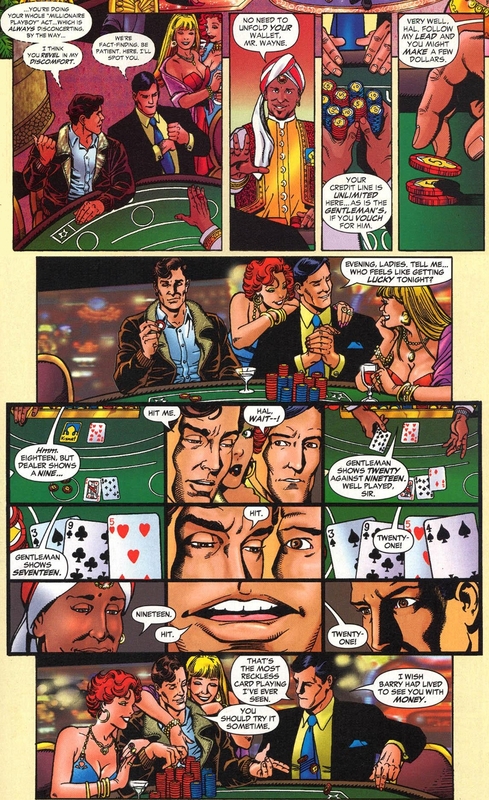 This blackjack lesson courtesy of The Brave and the Bold #1 (April 2007) by Mark Waid, George Pérez, and Bob Wiacek.